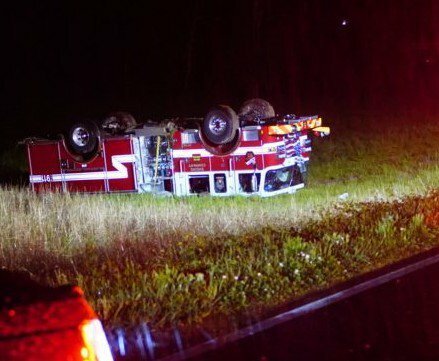 Fire departments across the country have designed apparatus and corresponding operational procedures to deliver high-caliber master streams at major incidents. 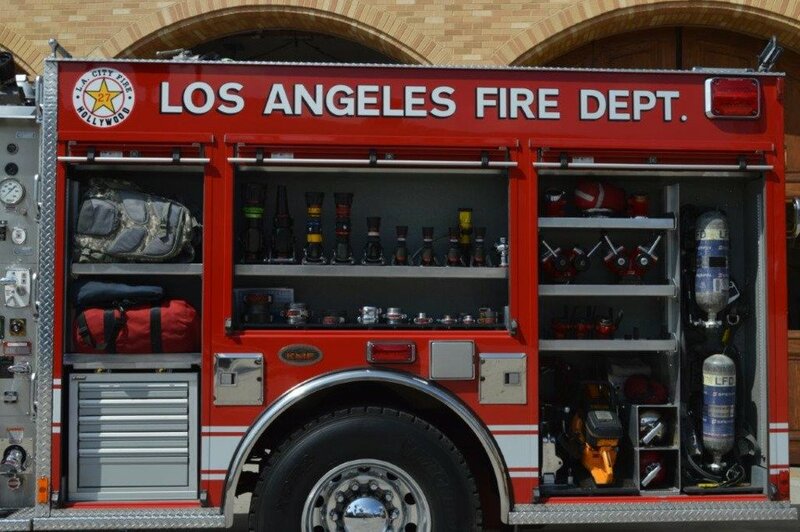 Dating back to 1937, Los Angeles City Fire Chief Ralph Scott designed two American LaFrance duplex pumpers that were equipped with twin 1,250-gpm fire pumps, one at the cowl behind the engine and one in the standard midship location. These units were originally assigned to Engine 17 and Engine 23 and were paired with a manifold hose wagon equipped with a wagon pipe outfitted with smooth bore tips up to 3½-inch diameter capable of flowing 3,500 gpm. The two-piece manifold companies were a Los Angeles Fire Department staple for many years, and during the urban disturbances of the 1960s, evolved into the Task Force concept, which combined a two-piece engine company with a second, single piece engine and ladder company. 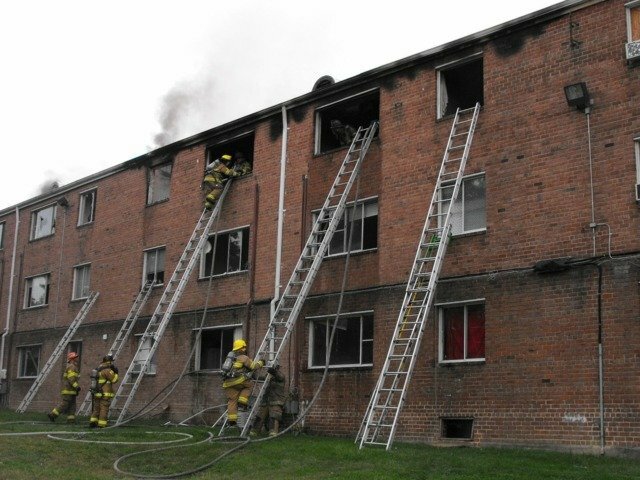 With four pieces of apparatus and staffing of 17 personnel, the Task Force companies were a formidable group on the fireground. In 1963, Los Angeles placed into service a pair of Crown Firecoach apparatus with both the wagon and pumper equipped with 2,000-gpm-rated pumps and outfitted with heavy stream monitors. Prior to 1965, the New York City Fire Department (FDNY) had historically operated with engine companies equipped with either 750- or 1,000-gpm-rated pumps. The concept of a Super Pumper is credited to Naval architect William Francis Gibbs, who designed the majority of the U.S. Naval fleet used during World War II. His firm of Gibbs and Cox had worked closely with the FDNY in the development of the fireboat Fire Fighter, which was entered into service in August 1938, and was equipped with eight monitors and capable of pumping 20,000 gpm. In 1962, Gibbs reached out to Mack Trucks to participate in the design of the Super Pumper, along with a hose tender. After extensive research with a team of engineers, Gibbs pitched his concept to the FDNY, which resulted in a contract with Mack Trucks in the amount of $875,000 the following year. The idea of this land-based fire boat was to be able to replace multiple apparatus working at the scene of a major fire and deliver large volumes of water using the monitor on the tender. Original renditions of the tender were to have this unit built with four hose reels, each carrying 2,000 feet of 4-inch hose. After some time, this design proved to be problematic, and as a result, the three satellite tenders were built to increase the flexibility of the Super Pumper system. The heart of the Super Pumper was the Napier Deltic 18-cylinder diesel engine rated at 2,400 hp, powering a DeLaval six-stage fire pump. 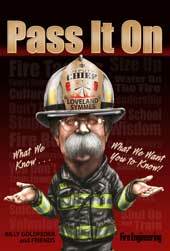 The pump was rated at 8,800 gpm at 350 psi and could be supplied by six 4½-inch and two 12-inch inlets. The fire pump supplied eight 4½-inch discharges and could operate at pressures up to 700 psi while delivering 4,400 gpm. When drafting, the Super Pumper used 12-inch suction hose that was supported using a mechanical crane at the rear of the apparatus. The vehicle tractor was a commercial model Mack with a 255-hp diesel engine and six-speed semi-automatic transmission. The tender was built with a similar Mack tractor along with a trailer carrying 2,000 feet of 4½-inch hose and was first delivered with a McEntyre fire boat monitor. What appeared to work on paper was replaced with a large Stang monitor, rated at 10,000 gpm and equipped with smooth bore tips ranging in size from 3 to 5 inches. 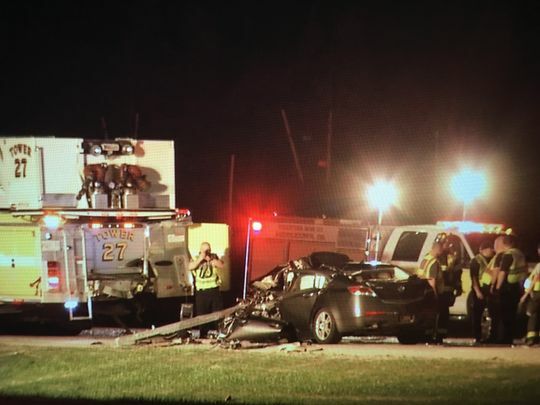 The monitor could be supplied with four 4½-inch inlets with hydraulic outriggers to stabilize the tractor due to the nozzle reaction. With a stream range of up to 600 feet, the tender’s monitor could literally knock down walls with its powerful hydraulic force. 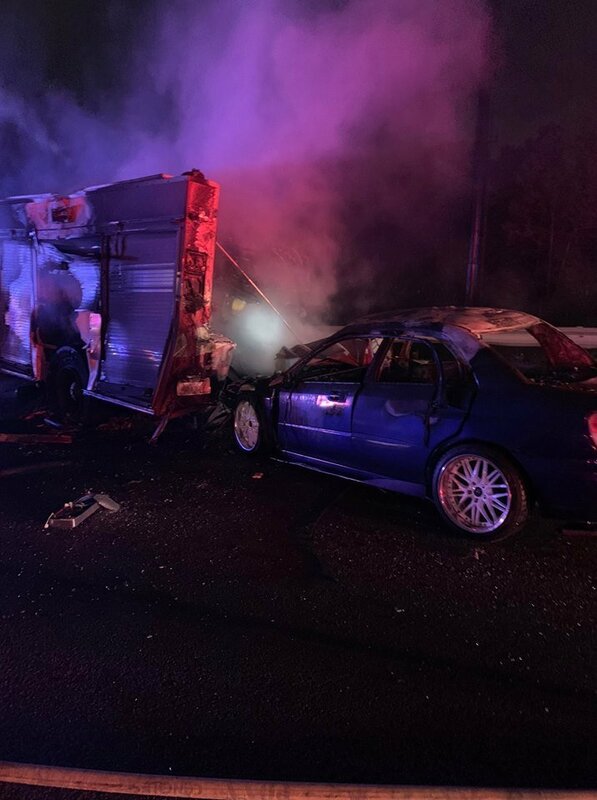 The tender was designed so the tractor could rapidly uncouple from the trailer to enable the tractor to maneuver into tight locations and provide improved position on the fireground. The final piece of the Super Pumper system was the development of the three Satellite tenders that were built on Mack C85 chassis and outfitted with a 6-inch Stang monitor rated at 4,000 gpm and equipped with 2,000 feet of 4½-inch hose on each unit. Procedures were developed for standard engine companies to take advantage of the 4½-inch hose, as this was the first time that this size supply line was employed by New York. The hose in 50-foot sections weighed 115 pounds and was pressure tested to 1,000 psi to ensure the safety of operating members. 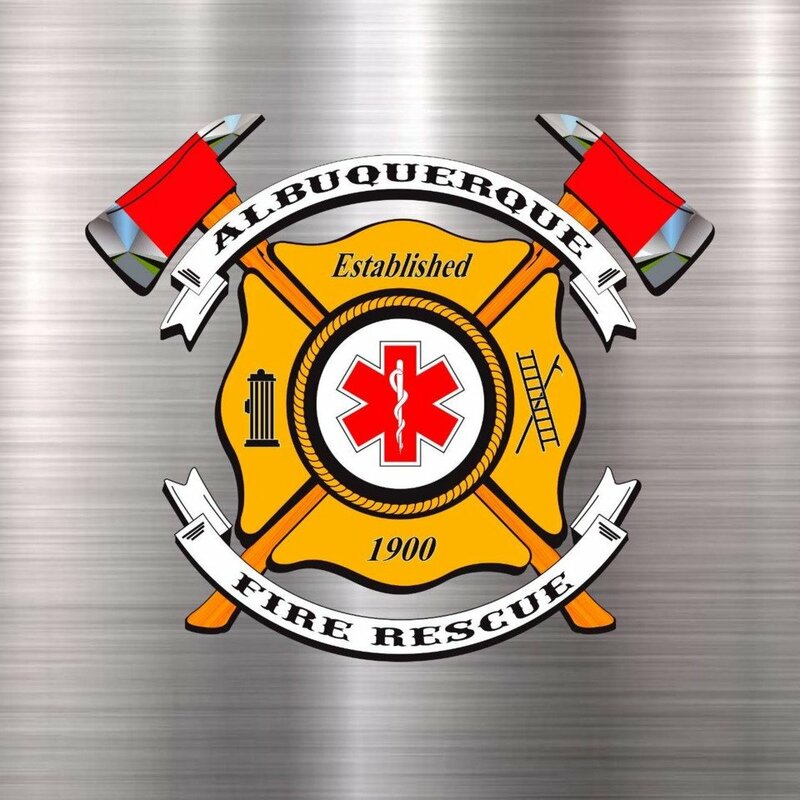 The Satellite apparatus provided the flexibility for the system where these units with an overall length of less than 26 feet could maneuver more easily than the tender and were capable of laying their own supply line from the Super Pumper. For the first time, this land-based fire boat system could develop fire streams that would previously take up to 10 conventional pumpers and thousands of feet of hose to provide master streams. 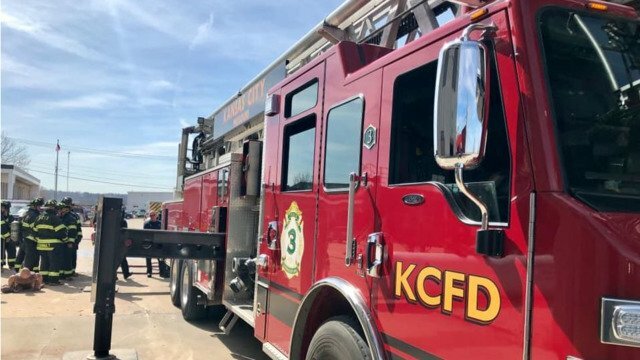 When combined with the recently introduced 75-foot tower ladders, the Super Pumper system gave incident commanders new and unique heavy stream capabilities. After several months of training, the Super Pumper system officially went into service in October 1965 and had already been special called to operate at a lumberyard fire in Brooklyn that had gone to 11 alarms. 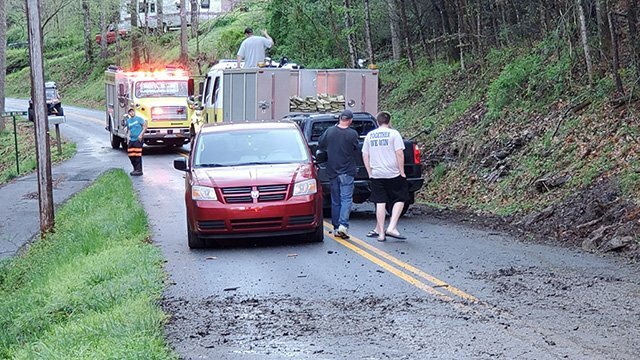 The Super Pumper drafted at this incident and pumped more than 7 million gallons of water at a time when the city was experiencing severe drought conditions. 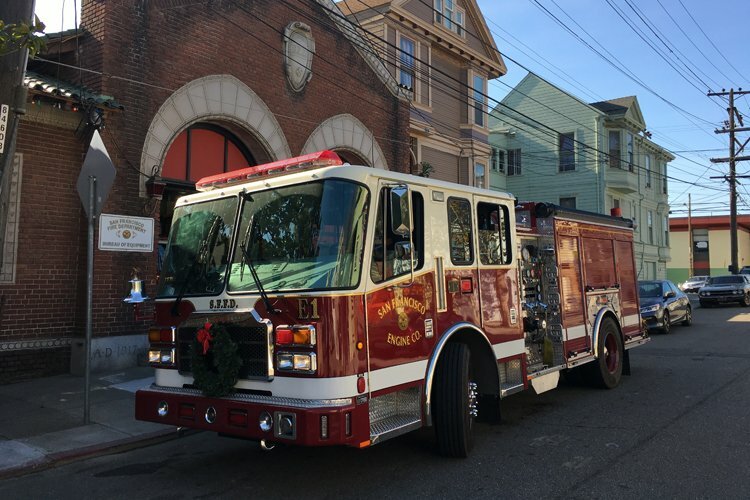 In the first year of operation, the Super Pumper responded to 46 incidents and during its career took in more than 2,280 incidents throughout the city. Due to age and maintenance costs, the Super Pumper made its last run on April 24, 1982. 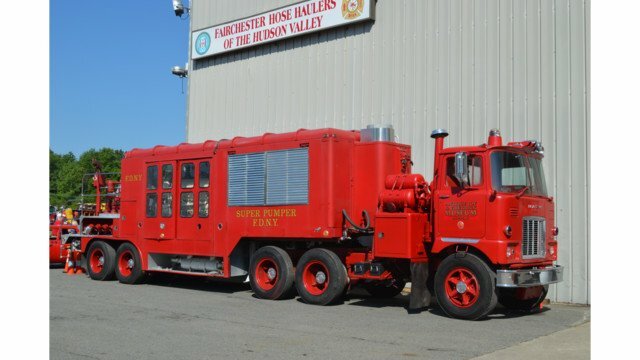 The success of the Super Pumper system led to the department acquiring six Mack CF 2,000-gpm pumpers during 1979 that were assigned to each of the companies operating the system as well as other strategically located engine companies in Queens and Staten Island. In January 1984, the FDNY placed into service the Maxi Water System with six 2,000-gpm pumpers along with satellite hose wagons. The unique capabilities of the Super Pumper system can trace its roots back to both William Francis Gibb’s Naval ship experience and the traditions of the horse-drawn steamers. Two-piece companies consisting of a steam-powered pumper along with a hose wagon were the most common method of firefighting until the first motorized apparatus were developed. 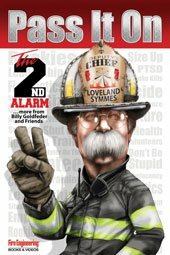 The 17 years that the Super Pumper was in operation were some of the most colorful of the fire service and lead to many of today’s large volume pumpers and water delivery systems.